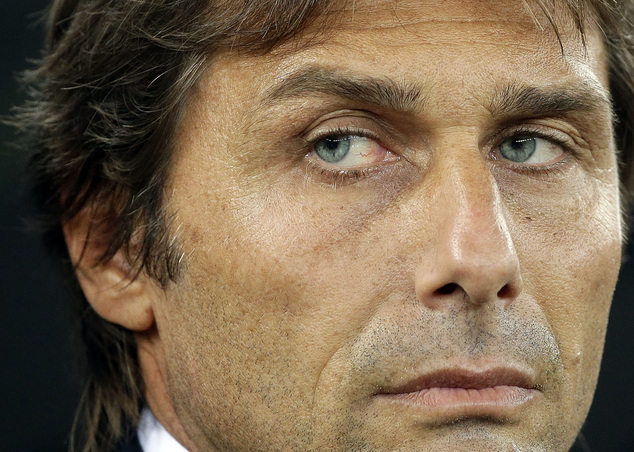 Antonio Conte has a message for Jose Mourinho over Brazilian BUT is willing to allow another to leave! With speculation due to intensify this weekend now that the Jose Mourinho / Manchester United love-in has officially started, NEW Chelsea boss Antonio Conte has already made his feelings known and has told the Chelsea Board veto any move for Willian but to allow Oscar to leave! As I posted only yesterday, Willian has been linked with a move from Jose Mourinho to his former employers this summer as part of a massive £60m bid. The player himself had spoken glowingly of Mourinho recently which will only add fuel to speculation which hasn't helped the press moving into overdrive. 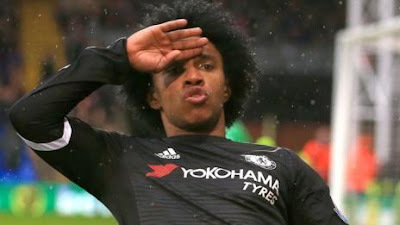 However, despite all this, it's believed that Antonio Conte has informed the Chelsea board to keep hold of Willian and to veto any move made by Manchester United or anyone else for that matter as he seems him as an important player next season. As stated on here before, it's not as if Chelsea would be willing to entertain any approach from the man they have now sacked twice because they would see Manchester United as a direct rival. It does seem that when it comes to Oscar, it's a very different story and once again the Brazilian play maker is being linked with a move to Conte's old club in Turin as it's being reported that Conte has informed Chelsea that he is prepared to let him leave. Oscar has been someone who over the years at Chelsea has struggled to nail down a position in the starting eleven to then play the full ninety minutes as he is always either substituted if he starts or dropped to the bench to make way for someone else. Whether or not when he starts the management decide that he has worked hard enough or too hard shutting people down as the reason to take him off is up for debate but it's been the same old story under each different manager he has played for since he joined Chelsea. 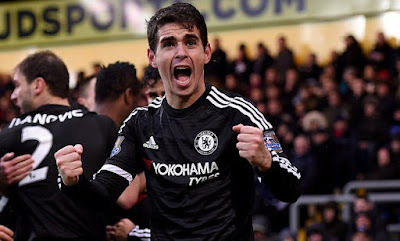 Oscar has undoubted talent and with a regular start to finish games would really kick on in my opinion. Yes he is one of the hardest working attacking midfielders we have without the ball and at times does seem to blow himself out but surely we now have the opportunity to develop a tactical system to allow him not to do that? In a 4-3-3 formation for example, with two wingers pushed up higher next to the striker, you would expect them to press high and close down allowing Oscar to play in a deeper role to focus on doing what he does best? Juventus have been linked to Oscar in recent seasons and it comes as no surprise that they are being linked again. This time however, with an obvious link to Conte and the fact that he has reportedly stated that the player will be allowed to leave, there seems to be real substance in a possible move. What do you think reading that about the decision to keep hold of Willian and the fact that Oscar has been told that he can leave? Are you happy with that or would you prefer to keep hold of both?